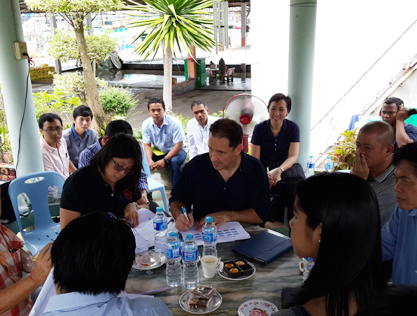 As a member of the Seafood Task Force, UL contributes to addressing forced labor in the Thai fishing industry. As corporations frequently utilize third-party suppliers and manufacturers located throughout the world to produce a wide range of products, the diversity and complexity of today’s global supply chains can challenge even the most well-intentioned companies. Unfortunately, the failure to adequately address this challenge and implement systems to prevent violations of international standards by contractors and subcontractors can inflict significant damage on a company’s brand reputation among buyers and consumers. In 2014, reporters uncovered labor abuse in the Thai fishing industry, highlighting local fishing boats engaged in illegal, unreported and unregulated (IUU) fishing. These reports highlighted the connection between IUU fishing and forced labor abuses, a grave issue facing Thailand and neighboring countries in which large numbers of people trying to enter Thailand involuntarily find themselves working for an employer under physical or psychological threats. Companies, industry stakeholders and non-governmental organizations (NGOs) seeking to end these forced labor practices in the supply chain formed the Seafood Task Force. The Task Force aims to drive measurable social and environmental change in the Thai seafood industry through greater supply chain accountability, verification and transparency. Eventually, plans will be implemented expanding the scope outside of Thailand to achieve this same transparency. Shortly after the labor abuses came to light, the Task Force contracted UL’s Responsible Sourcing unit, a team of specialists driving sustainable advantages within global supply chains with auditing and advisory services, to engage a multi-stakeholder group to develop audit protocols in its members’ supply chains, validate the traceability of individual member supply chains, recommend measures to improve crew, port and fishery controls, and through the Task Force, recommend to the Thai government port and document control measures. In a few scenarios within the Thai shrimp feed supply chain, people allegedly sought work from recruiters to transport them into Thailand and were placed into jobs, according to media reports. When they arrived, they found that the payment owed to the recruiters was higher than what they earned, leaving the fishermen in debt. As this debt mounted, the workers, in some cases, lost their documentation and became trapped with no way to leave the country. While only a small fraction of the total workforce, some workers allegedly ended up enslaved on IUU fishing vessels, according to media reports, and these vessels caught fish hauls that supplied Thailand’s land-based shrimp aquaculture. These workers are part of nearly 21 million victims of forced labor in the world, according to International Labor Organization data. At the end of the supply chain, some retailers and consumers were unknowingly purchasing shrimp that had fed off fish hauled in by these forced laborers. 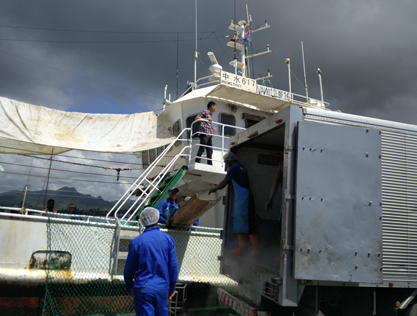 UL has already conducted more than 200 assessments, encompassing vessels, ports, fishmeal plants and feed mill plants, and, as part of its process, UL’s team followed the funding streams enabling the supply chain. When some actors in the supply chain did not fully implement internationally recognized standards for documentation to establish traceability, UL’s team was able to validate using documentation at points where something of value changed hands. As a result of UL’s work, Task Force Members are now able to evaluate their supply chains and perform a traceability verification assessment. 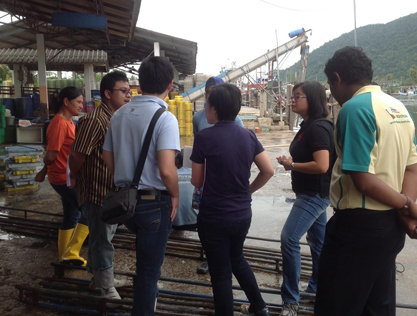 In addition, members will be able to ensure compliance with the newly established Seafood Task Force Code of Conduct. The Seafood Task Force’s Code of Conduct, applies the international definitions of forced labor and human trafficking set by the United Nations and the International Labor Organization.